Are you thinking about getting your business a press release? You’re on the right track. Although press release distribution is an old marketing tool, its effectiveness shouldn’t be underestimated. A successful press release distribution can still give your business plenty of benefits. From brand awareness to social media reach, you can never go wrong to send out a press release from time to time. A press release also gives an SEO advantage to your site. We’ve rounded up the best press release websites for all your PR needs! 1 What makes a good press release site? 5 What do you Think of Press Release Distribution Services? What makes a good press release site? A press release distribution – if you are willing to pay for it – is an investment. So it’s only reasonable to want to put your money somewhere that is trustworthy and is known to deliver the right results. When choosing your distributor, do your research. 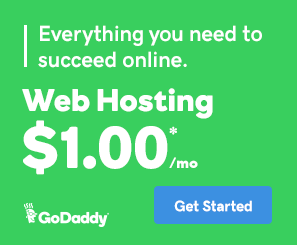 How is their SEO metric score? Are their clients satisfied? Check out their testimonials. Additionally, have a look at their media pool and B2B partners. You should go for a press release site that is well-connected. These days, companies use press release for more than one reason. A press release can also help you improve your business’ SEO rankings, social media visibility, and potential sales numbers. With all of this in mind, try to look for a PR company that offers more than just press release functionality. See if their service includes online and social media reach and search engine optimization features. Press release sites that allow for images, videos, and links would also help increase your copy’s effectiveness. 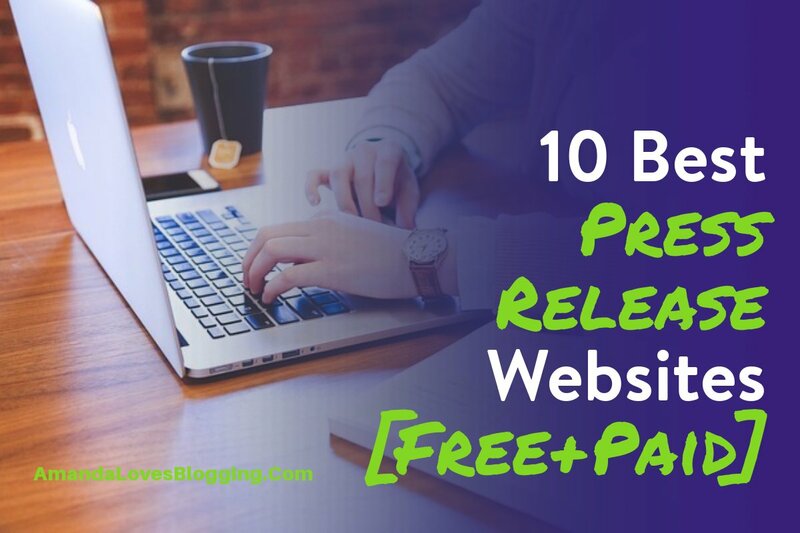 All of that in consideration, we’ve vetted out some of the best paid press release sites to save you the time and effort. The following PR companies are credible and have proven track records of satisfying their clients. Here are five of the best paid press release sites out there. On top of our list is Newswire. This site has one of the easiest press release submission processes which notify your approval within hours. They will even let you track and analyze your campaign during its duration using their own analytics tool. Their press release distribution service comes with several other features including your very own newsroom. Newswire also has an impressive media outreach and RSS directories. ReleaseWire is another dominant press release distributor that lets you reach out to a vast pool of journalists and bloggers. They also offer multimedia distribution and media contact management. They promise better targeting which will match you with journalists with the same interests, ensuring the success of your press release campaign. The best thing? Their prices are affordable. If you are big on SEO functionality, PR Newswire should be your go-to. You don’t even have to worry about credibility. PR Newswire is the oldest and largest press release company out there. With over 60 years of experience and around 200,00 distribution points. PR Newswire’s multichannel reach spans over 4,500 U.S. websites with over 550 news content systems. They offer some of the priciest services, but you will surely get your money’s worth. Depends on your industry, release date, location, etc. A new entry that is definitely worth considering if you are targeting the industrial or technology sectors is The Manufacturer PR Service. The newly established site allows for press releases to be posted online instantly in the form of written media, videos, or images. The site is good value for money and lets you file your story into a variety of different categories within the manufacturing industry so you can tailor it to your audience’s interests. With an easy-to-follow interface and instant publication of your article, The Manufacturer PR Service is a great option for posting your industry-based press releases. This website offers press release distribution services plus gives you samples of press releases and writing tips. They have a simple submission process that takes only minutes to complete. Their editors review and approve every press release to make sure that it meets standards for newsworthy content. They have paid plans available with the Gold at $15 per press release, Platinum at $25/PR, Diamond at $50/PR, Ultimate at $150/PR and Ultimate Plus at $250/PR. The company started in 2004 and they changed the way press release distribution was done by offering affordable and effective press release distribution services to all types of businesses. They pride themselves is assisting clients by distributing their press release articles to print media, editors, online media, and bloggers while making it available for crawling by search engines. They have a database of more than 50,000 members and have distributed almost half a million press releases. They respect the privacy of all registered users and commit not to sell, give out or distribute any of their user’s information. NewsWireNext is another top paid press release distribution service. Using their services you can choose from 500+ news sites to distribute your press release. This number is much larger than most press release website do offer. They offer 5 different PR plans i.e Basic ($49), Standard ($99), Standard+ ($149), Lite ($199). Elite ($249). The standard & lite plans are distribution only plans. That means, you need to provide a press release draft to be published. Standard+ and Elite plans are writing+distribution plans. That means, Writers at NewswireNEXT will write and publish your press release. Press release submission can be done via paid distribution sites or free sites. Free sites normally allow you to send plain text only rather than releases with images and videos. You also get nofollow backlink only to your websites. Paid distribution sites, on the other hand, gives you the option to include content that is rich with images and video in the content. They also provide a dofollow backlink which may help boost your SEO. This site has an Alexa ranking of 61377. You get free press release submission that includes a PDF version, a search engine optimized page, video press release, links in the content, spam protection and option to select location/industry and tag listings. Their free submission includes distribution to search engines, your own press room, social media, RSS feeds, and discount option for distribution to news sites and journalists. The Alexa ranking for this website is 108284. This website offers a free distribution package that sends your release to general search engines, some 3rd party and news websites and RSS feeds. They have paid packages that are from $30, $50, $60 and $100 per press release. This website has an Alexa ranking of 115930. They pride themselves with having an innovative website design which helps build their credibility. They have a submission system that allows you to submit a professional press release all by yourself. All you have to do is follow their 3 step process which starts with creating your press release, distributing it and review the detailed report regarding your submission. Aside from their free submission service, they have paid packages which start at $19 per PR for the Premier package and $59 per PR for the Customized package. They currently have 800,000 registered users, 7,000 partner websites and have sent 2,000,000 plus online press releases. This website has an Alexa ranking of 363355. They have been in the press release distribution services business for 11 years. They review and publish free press releases and approve them within 24 hours. They only choose high-quality releases and do away with spam content. They will notify you if your release was approved. They don’t approve press releases sent from free email sites like Yahoo, Gmail, and Hotmail etc. You need to register your official company email and repost it for review. This website has been providing media services to PR professionals since 2005. They are part of a network of content marketing sites that provide free and paid tools media practitioners around the globe. Their free press release submission services are limited to good causes like charity and corporate social responsibility news. This free service has no limit to the number of submissions. Their paid services start with a Standard Submission at $75/PR, Enhanced Submission at $125/PR and their Enterprise Solutions whose rates are tailored per client. What do you Think of Press Release Distribution Services? There are experts who say that the press release is dead and no longer works in the PR and marketing world of today. PR practitioners would argue that this is not true; press releases are considered to be one of the best off-page SEO tactics that a business can implement. The Penguin update by Google has killed the direct benefit a website gets when using press releases to gain backlinks. But there are still indirect benefits from submitting press releases like increasing brand awareness and improving website traffic. These indirect benefits have proven to boost SEO. A press release contains the latest news a company or business has and it is shared through various press release sites. When a press release is distributed to submission websites there is a high chance that a website will get huge traffic and sales conversions. Next Post - Next post: How to Bypass Facebook Photo ID Verification and Phone Number Verification?